What Features Does TheOneSpy Offer? Is It Legal To Use TheOneSpy? Modern parents are delighted by the choice of parental control apps available on the internet. But, such a wide choice makes it difficult to decide on the one app. That’s why one needs to read the user testimonials and reviews before investing into expensive monitoring solution. 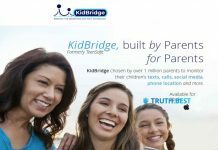 Here, at Truth.Best you can have a look at all the parental controls and their features. We collected and analyzed many TheOneSpy reviews to present you the complete and honest opinion on this tracking tool. TheOneSpy is the phone spy, which can help you track someone’s activity remotely. TheOneSpy is to be installed on the device of the person, whose activities you wish to monitor. Only if you install the app, it will start collecting the data on the target device. TheOneSpy is designed for cross-platform monitoring. With TheOneSpy you can track your kid’s Android, iOS mobile phones as well as computer and tablet. Though, the features offered for different platforms monitoring vary. Read on to find out how does TheOneSpy work and which activity can you track on various devices. TheOneSpy software has to be installed on the device you wish to monitor. Once installed and setup, the app will start tracking activities and transferring the found data to the user’s online account. To enable fast data transferring the mobile phone monitored needs constant internet connection. TheOneSpy stores data in an online account for 45 days. You can freely check any activity for as many times as you need to. The software will delete the 45 days old activity logs regularly. TheOneSpy gives parents constant access to the devices of their children with the help of real live listening feature. You can listen to phone conversations and phone surroundings remotely. To trigger listening activate the device’s microphone with TheOneSpy SMS commands. Using TheOneSpy parents can discover what texts their children send and receive. Enter your TheOneSpy online account to read messages of your kid. The photo gallery contains essential snippets of the person’s life. TheOneSpy allows parents to access the photo gallery and observe the stored pictures and photos. You can find out what social media apps your child uses and discover their chats in WhatsApp, Facebook, and other messaging platforms. TheOneSpy records the WhatsApp voice messages to reflect all conversations of your child. TheOneSpy follows your child’s smartphone to show you the precise location of the kid. You can also access the location history and examine places that your child visited throughout the day. To get started with TheOneSpy you need to purchase the license. From the official TheOneSpy website choose your device from the drop-down list of solutions. Then you can buy the license preferred to you. To install you need to have the target Android mobile phone at hand. Firstly, go to your e-mail to find TheOneSpy login credentials. Use them to enter your online account. Then, you will have to download and install the app on the device. Once you installed it, log in to your TheOneSpy account with login and password provided in your e-mail. As you may understand, TheOneSpy installation requires physical access to the device. Also, you need to find out the screen lock password to install and set up the software. How to make TheOneSpy run in the invisible mode? You can set TheOneSpy to work in visible or invisible mode. Just open the app on the target smartphone and choose the invisible mode in the Settings of the app. How to install TheOneSpy on iOS device? TheOneSpy offers a no-jailbreak license for iOS devices monitoring. To start tracking iPhone activities, you need to find out iCloud credentials of the person you wish to monitor. Then, TheOneSpy can be installed on the iPhone without physical access. Unfortunately, now TheOneSpy stop offering licenses for iPhone monitoring. So you can’t use TheOneSpy for iOS tracking for now. How to use TheOneSpy for Windows/Mac monitoring? TheOneSpy software offers a limited choice of features for Windows and Mac computers monitoring. But, if you want to try, purchase the license from the official TheOneSpy website. You will see the installation wizard, which will help you install and prepare TheOneSpy software for laptop activity supervising. Any person is enabled to install TheOneSpy software on their device legally. But, if you plan to monitor someone’s mobile phone with TheOneSpy, you have to inform the person about your decision and receive their consent to track their online activity and access personal data. TheOneSpy software is primarily created for parental control purposes. Thus, parents can legally monitor the devices of their underage kids. The legal use of the software also extends on the employers who apply TheOneSpy to supervise the activities of their employees. TheOneSpy offers their users extensive set of monitoring features. With live recording and surroundings listening you can always find out what is going on around your child. But, this parental control tool also has some cons to consider. Check the list of the pros and cons of the TheOneSpy app to make your decision. Although there are only three cons, the software doesn’t seem reliable to us. Investing in other parental control solution, you may guarantee yourself an effective monitoring experience. Previous articleMy Mobile Watchdog Review: Is It Good For Android/iPhone Monitoring?